Remember I said that I love to eat brioche?! So, the other day, I decided to give it a try, making one. 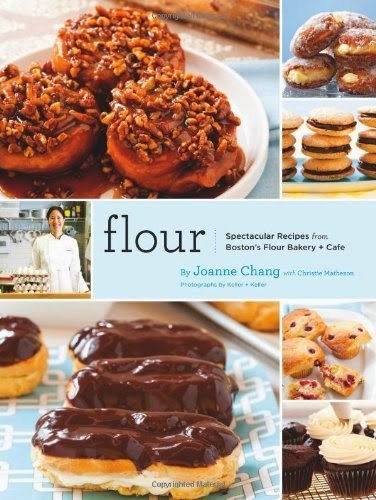 The recipe that I used is from Joanne Chang - Flour cookbook. I am not sure whether this is how her recipe should be, but mine turned out more of a cake texture than the usual bread/cake sort of texture.. Anyway, if you're like me who loves eating brioche and want to give it a go! Here is the recipe. 1 - In a stand mixer fitted with a dough hook, combine the plain flour, bread flour, yeast, sugar, salt, cold water and 5 eggs. Beat on low speed for 3-4 minutes or until all comes together. (Stop mixer if needed to ensure it's mixed properly). Once it has come together, beat on low speed for another 3-4 minutes. The dough will be very stiff and seem quite dry. 2 - On low speed, add butter one at a time, mixing each until it disappears into the dough. Then, continue mixing for another 10 minutes, stopping occasionally to scrape the sides and bottom of the bowl. It is important to ensure all butter is mixed properly, if need be, break up dough to help butter incorporate. 3 - Once butter is incorporated, turn up speed to medium and beat for another 15 minutes or until dough becomes sticky, soft and somewhat shiny. It will take some time to come together. It will look shaggy and questionable at the start but will eventually turn smooth and silky. You should be able to hear the dough making a slap-sound. Test the dough by pulling at it, it should stretch a bit and have a little give. If it seems wet and loose and more like a batter then dough, add a few tablespoons of flour and mix until it comes together. If it breaks off into pieces, continue mixing it for another 2-3 minutes until more gluten develops. It is ready when you can gather it all and pick it up in one piece. 4 - place dough in a large bowl and cover with cling, pressing the wrap directly onto the surface of the dough. Let it proof in the fridge for at least 6 hours or up to overnight. At this point, you can freeze the dough in an airtight container for up to 1 week. 5 - To make 2 brioche loaves, line the bottom and sides of two 9x5inch loaf pans with parchment. Divide dough in half and press each piece into about a 9-inch square. The dough will feel like cold, clammy Play-Doh. Facing the square, fold down the top 1/3 towards you and then fold up the bottom 1/3, as if folding a letter. Press to join these layers. Turn the folded dough over and place it, seam-side down, in the prepared pan, repeat with the other. 6 - Cover the loaves lightly with plastic wrap and place in a warm spot to proof for 4-5 hours or until the loaves have nearly doubled in size. They should have risen to the rim of the pan and be rounded on top. When you poke at the dough, it should feel soft, pillowy and light. 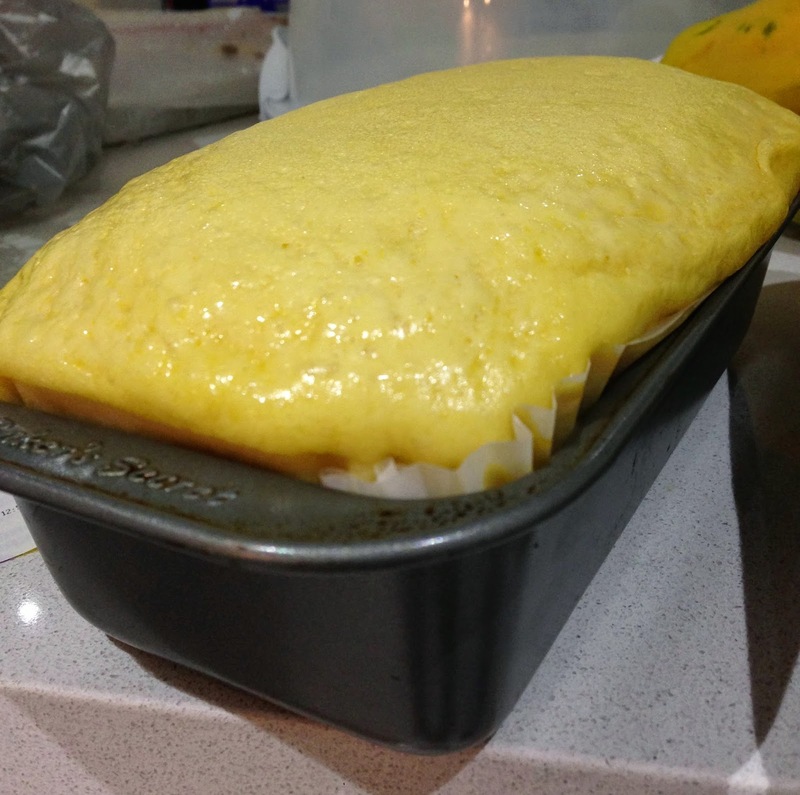 7 - Pre-heat the oven to 180degrees C.
8 - Whisk remaining eggs in a small bowl and gently brush the tops of the loaves. 9 - Bake for 35-45 minutes or until the tops and sides of the loves are completely golden brown. Let cool in the pan on wire racks for 30 minutes, then turn the loaves out of the pans and continue to cool. * Don't halve the recipe, as there won't be enough dough to engage the dough hook. * Bread can be stored tightly wrapped in a plastic wrap at room temperature for up to 3 days or in the freezer for up to 1 month. Hi Amy, brioche YUM! Butter..that's what makes it so yummy! I've tried making brioche once before but it ended up on the dry side. Yours looks delish! Helen: thanks! Yea, brioche can be tricky..